Antropark was created as part of the website of the Academy of Sciences in Brno in 2005. The map of the Europe in the end of the Paleolithic era changes fiercely by melting of the glaciers. Large areas of the shore were flooded and one of the most dramatic floods was the proceeding of the northwest part of the Black Sea. The warming changed the streames in the oceans, the climate changed, the woods became more dense and the whole terrain inpassable. The ethnic groups are locally more isolated then in the foregoing civilisations. 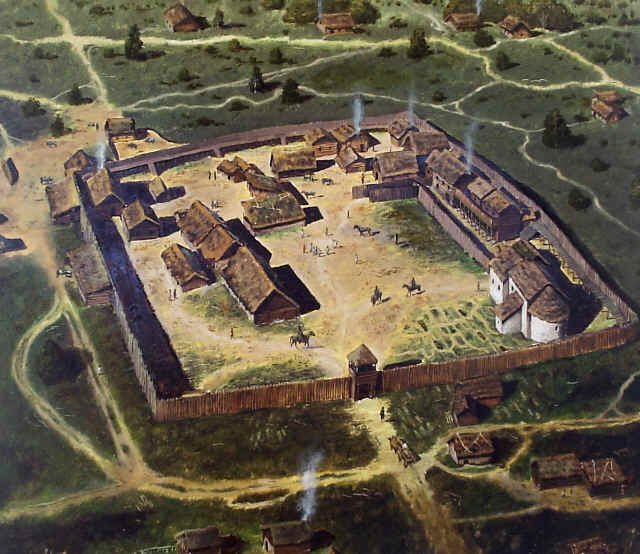 The reconstructional imitation of the settlement at the foot of the Dřínová Hill by Tišnov and Předklášteří. The dwellings with floors below the ground level were discovered during the research in the 1970. The patterns on the paddle and the clothes are depicted according to various artefacts from other sites. A bow is an ideal weapon for reindeer, deer and boars hunting. Fish were caught from three watercourses nearby. This picture shows well-insulated dwellings with thick walls, suitable for a long-term winter habitation. This corresponds with the fact that the foundations were below the ground level. We would like to thank Municipality Tišnov for his help during the realisation of this reconstruction. There has been discovered a unique settlement at the foot of the Dřínová Hill. The foundations of the dwellings were below the ground level. Both the foundations and the floors were made of stones. The site represents one of the best discernible remains of Palaeolithic dwellings in Central Europe. The location of the site is typical of the end of the Palaeolithic. Three watercourses and their valleys meet there, and it follows that the hunters could monitor herds of animals and there were also good conditions for fishing and waterbird catching. Stone tools belong to the Tišnovian culture, which bears mainly elements typical of the Mesolithic, but components of the Pavlovian tradition are also present. As for the stone tools, the archaeological situation on the Dřínová Hill is quite specific. The climate grew warmer at the end of the Palaeolithic, and that is why it was not necessary to process stones close to warm dwellings. The result is that a large number of stone tools accumulated in one location, which is usual on the Upper Palaeolithic sites, does not practically occur in this period. The Dřínová site is unique from this point of view, because a number of such artefacts unearthed here is much higher than in other archaeological sites of the end of the Palaeolithic. 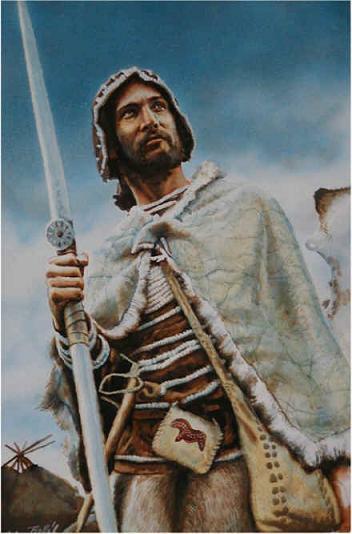 The end of the Palaeolithic in Europe was accompanied by decline of the hunting way of life, and gathering was becoming more and more important. It was a result of gradual (but still fluctuating) warming, which brought about more resources of plant food. (Gathering was not new, it existed during the Upper Palaeolithic where climatic conditions permitted, but was of minor importance.) Warming caused retreat of tundra and forest steppes and spreading of forests. Herd animals declined, large-scale migrations of animals and people were ceasing and close cultural connections of the continent disappeared. 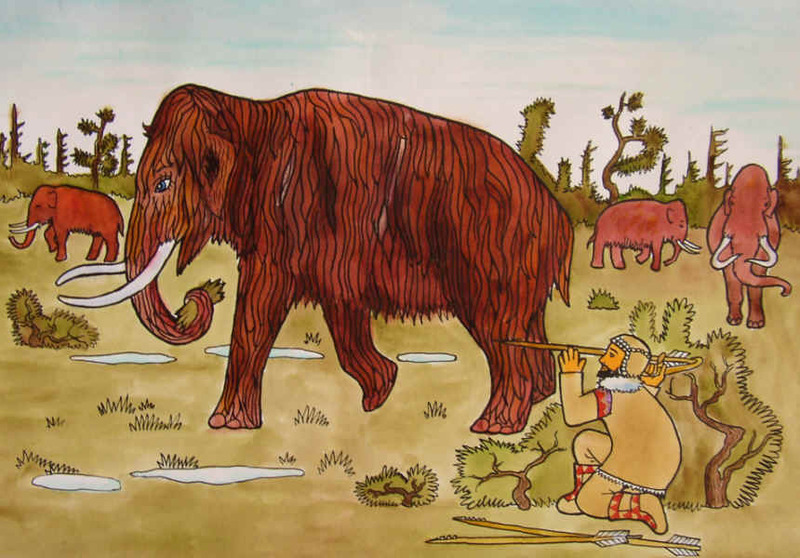 The term Mesolithic, literally “the middle Stone Age”, should have originally referred to the whole epoch. The grandiose name, coined under the influence of gradualism, actually refers to only several thousand years. 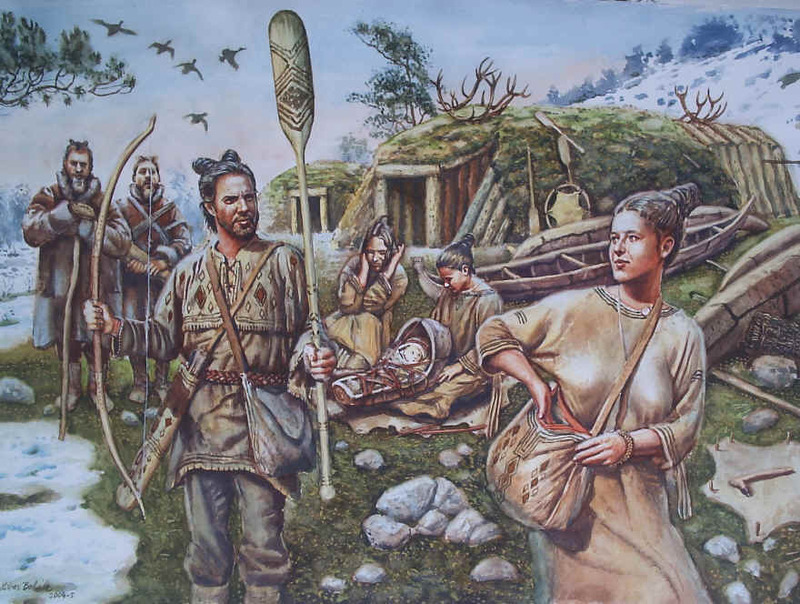 The term Epipalaeolithic rightfully evokes a notion of declination of the Palaeolithic traditions of the Northern-type hunters surviving into a warmer period. The climatic conditions had changed and the largest part of Europe had temperate climate. 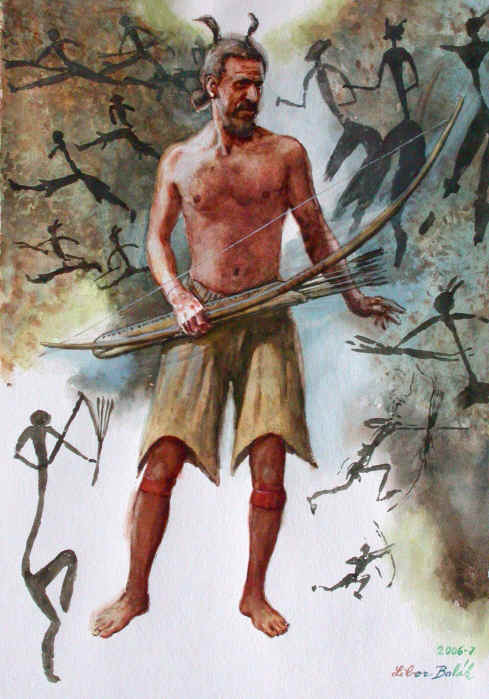 Subsequently, the role of gathering increased, and therefore we call the Mesolithic societies hunter-gatherers. On some sites, agriculture emerged as an alternative to hunting and gathering. The settlements of the hunter-gatherers were not big, the floors of the dwellings were often below the ground. The settlements arose next to the sources of food (banks of a river or a lake). 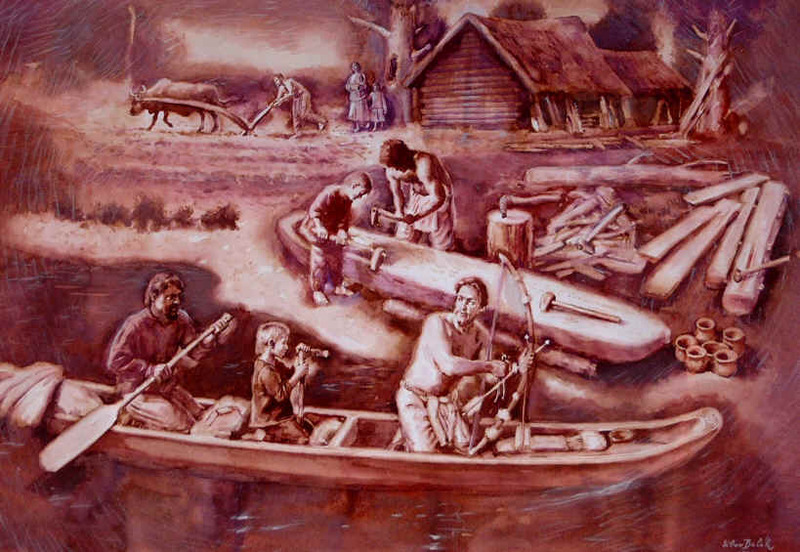 There were unearthed many burials (even containing several tens of bodies) in the same places, where the dead bodies lay in crouched positions and were covered with red ochre. Sometimes there are indications of unnatural deaths, probably in warlike conflicts. 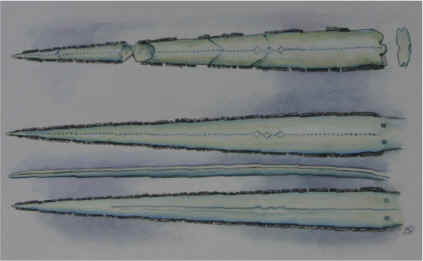 Many remarkable objects, such as sledgehammers, wraps on stone flakes and larger complete parts of microlithic weapons. We are looking for a sponsor for the next operation of the Antropark and the emergence of new reconstruction.